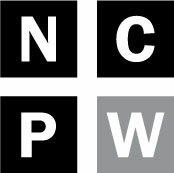 Editor’s note: N.C. Policy Watch is chatting with some of the newest members of the N.C. General Assembly to offer a bit more insight on who they are and what they plan on doing this session in Raleigh. 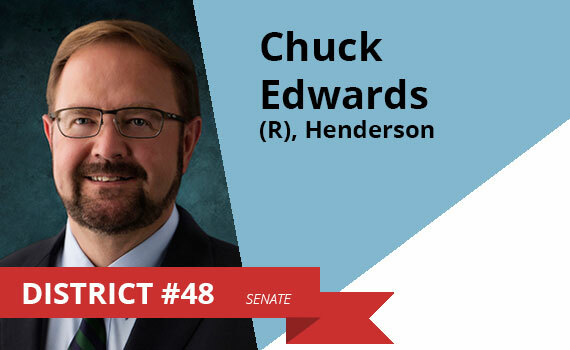 Sen. Chuck Edwards declined by email to participate in this profile, which is compiled from past media interviews and Sen. Edwards’ campaign website. The 2017 session of the legislature will resume January 25. Why did you run for office? He gave this answer in Dec. 2015 to Hendersonville Times News: I’ve always believed in public service and tried to find ways to make a difference for our region. I believe I can do that by representing Henderson, Buncombe and Transylvania counties in the state Senate. What do you think will be the biggest issue at the legislature this year? Edwards gave this response in October to the Hendersonville Times News: Growing our state’s economy in a way that good-paying jobs are available for our citizens, our children and future generations should be among our top priorities. What’s one specific campaign promise that you’d like to deliver on? He said after being elected that he is eager to earn the trust of all and that he wants to make sure that Western North Carolina gets its voice heard in Raleigh. Do you support a full repeal of House Bill 2? Why or why not? Edwards gave this response in October to the Hendersonville Times News: House Bill 2 was in response to the Charlotte city ordinance that effectively makes it illegal to distinguish women’s bathrooms, showers and locker rooms from those of men. The situation created by Charlotte lacks common sense and decency. The leaders of that city should be called upon to rescind their action that created such division among our citizens. How do you feel about the minimum wage in North Carolina ($7.25 an hour)? Should it be raised or kept the same? His position on this issue has not been made public. Is the state’s funding for public education enough? An exact position on this question is not available but he gave this response in October to the Asheville Citizen-Times: We should not spend valuable tax dollars trying to make the system what we wish it would have been in the past. More autonomy should be granted to local school boards and parents. More monies spent should make it into the classrooms where they are most needed, and we must ask where the lottery money is going. What changes do you think need to be made in the public education system? This was written about Edwards in March in the Mountain Xpress: If elected, Edwards would also seek to “get the politics out of” the state educational system and “allow educators do their jobs” by replacing the Common Core standards, improving students’ workplace readiness, raising the pay for high-performing teachers and expanding school choice. Contact information: He can be reached at (919)733-5745, or Chuck.Edwards@ncleg.net.